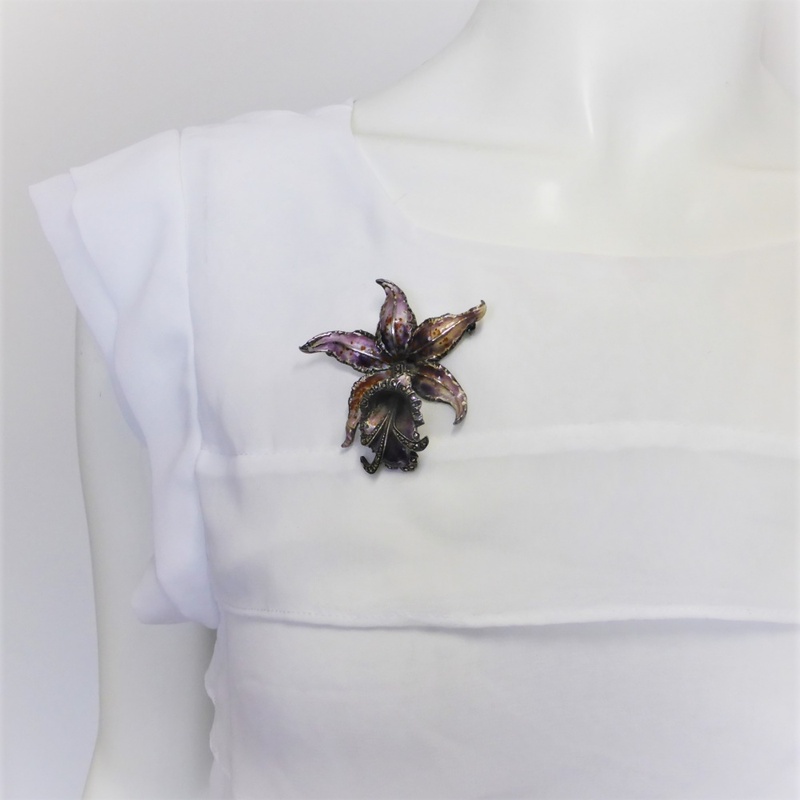 and sepal edges portraying a vivid ruffled look. 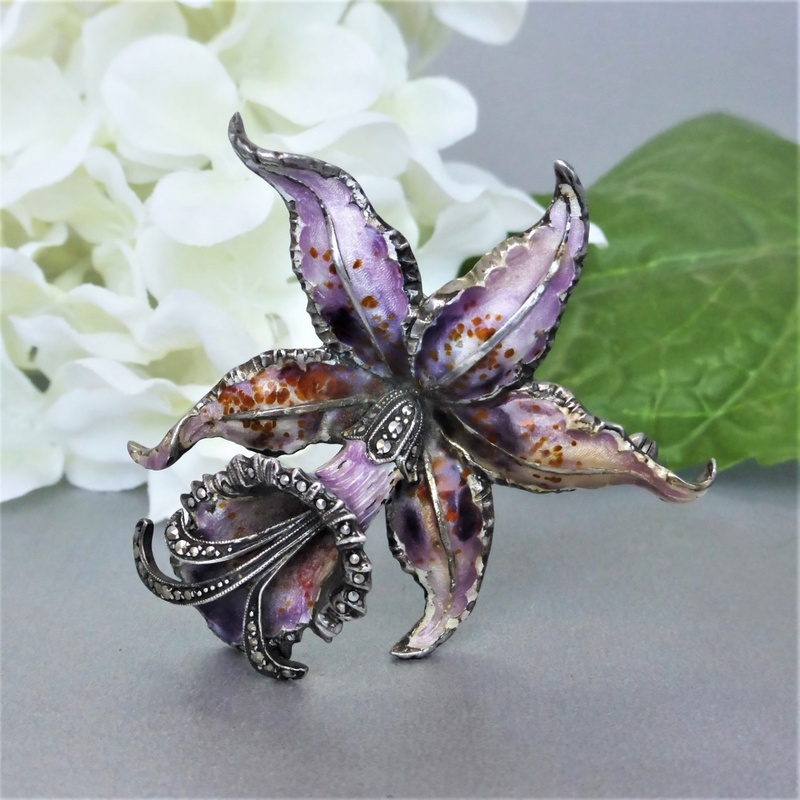 At the the lip of the orchid features three stamens extending out - it is riveted inside which allows slight mobility, giving a further lifelike feel. 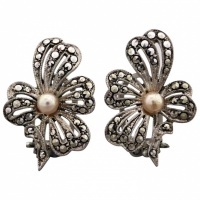 Little marcasite accents are placed along the ruffled edge of the lip, stamens and lip base. 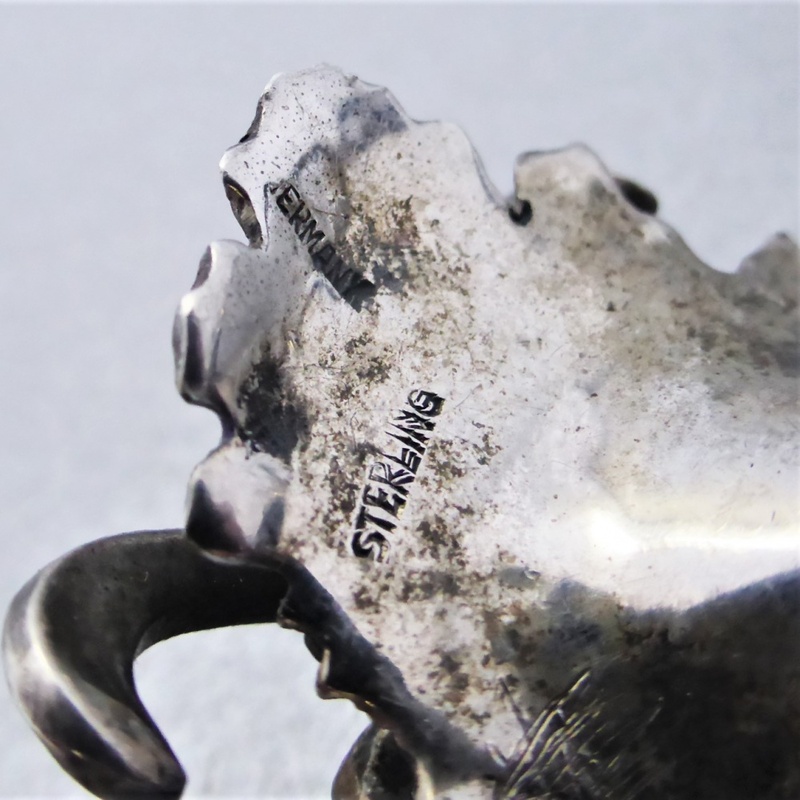 On the reverse of the piece is a secure revolver pin clasp, there is also stamps "STERLING" and "GERMANY". A natural patina on the sterling silver surface has been left, the darker appearance adding a further depth of character to the piece! 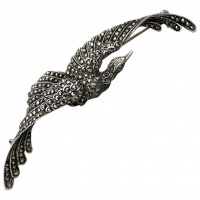 The large brooch measures 2 2/7" (57.90mm) length x 2 2/4" inches (57mm) across (widest spread). 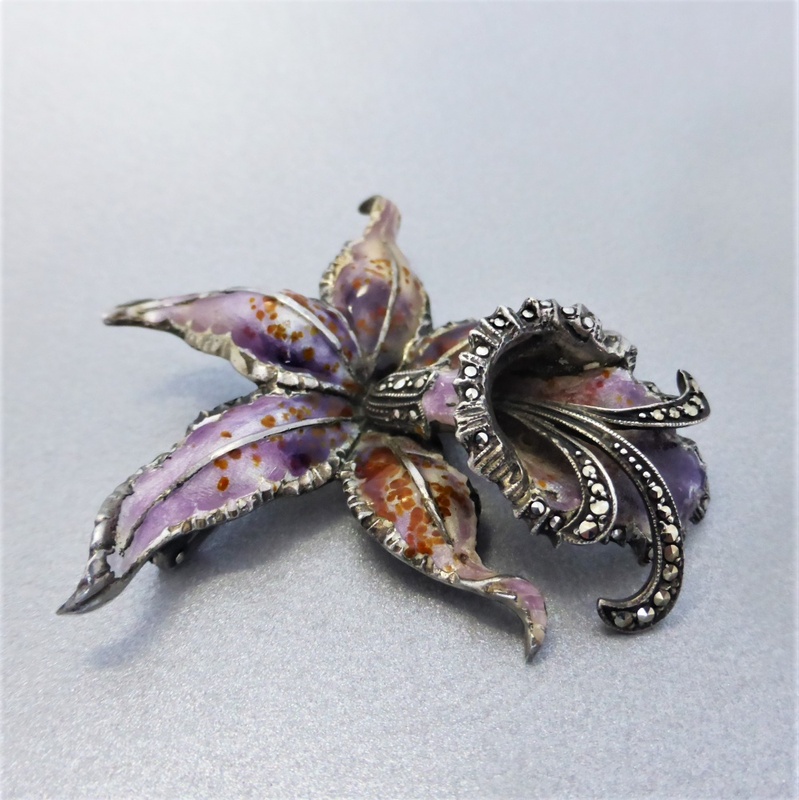 A beautiful statement brooch. 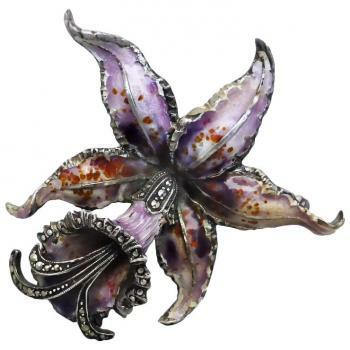 Perhaps one for the flower admirer! 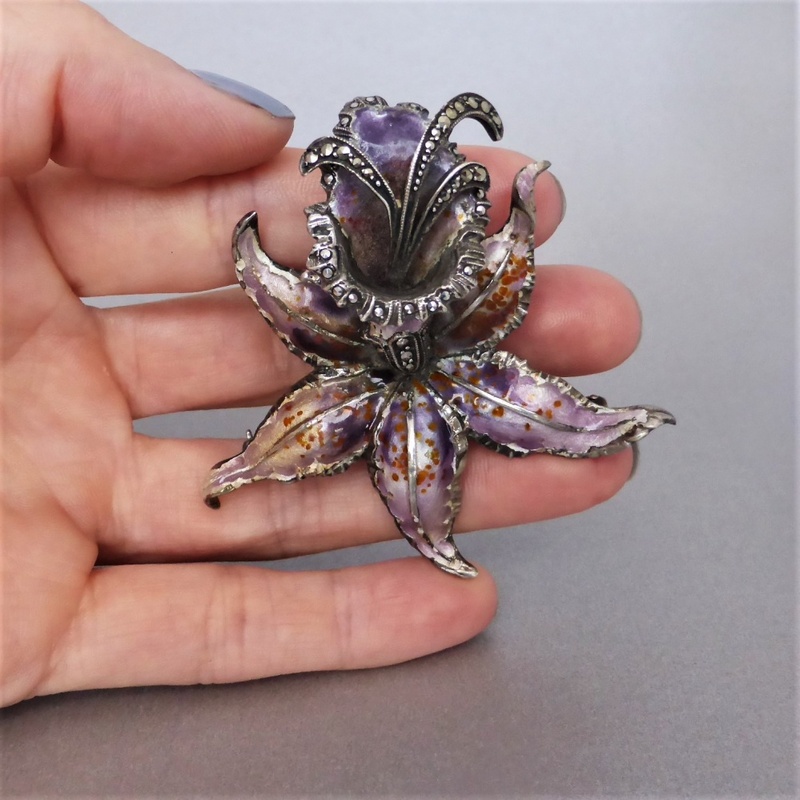 Condition: The overall condition of the brooch is excellent. 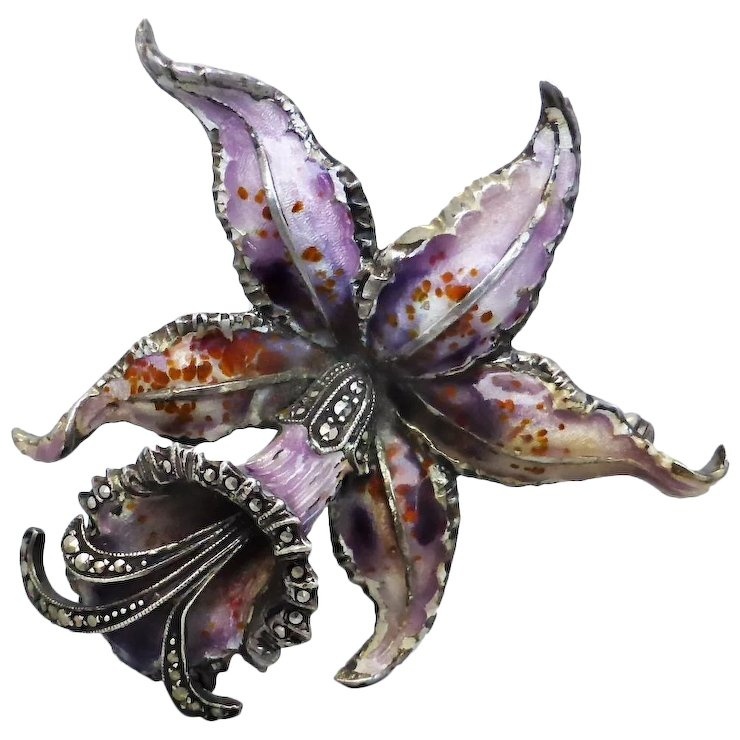 Besides normal surface wear, there is no apparent damage to the sterling silver or the enamel. 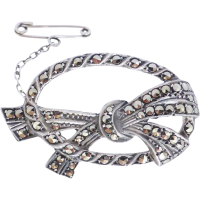 All of the marcasite stones are present, and all appear original. 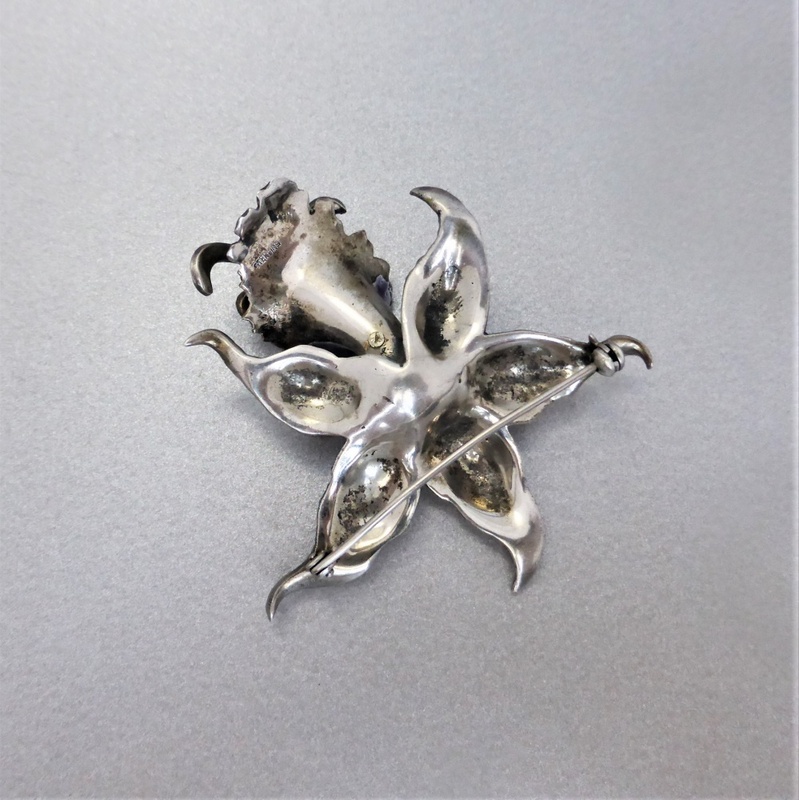 There is a natural patina on the surface of the silver which can be polished if you desire. The revolver clasp works well with good tension. 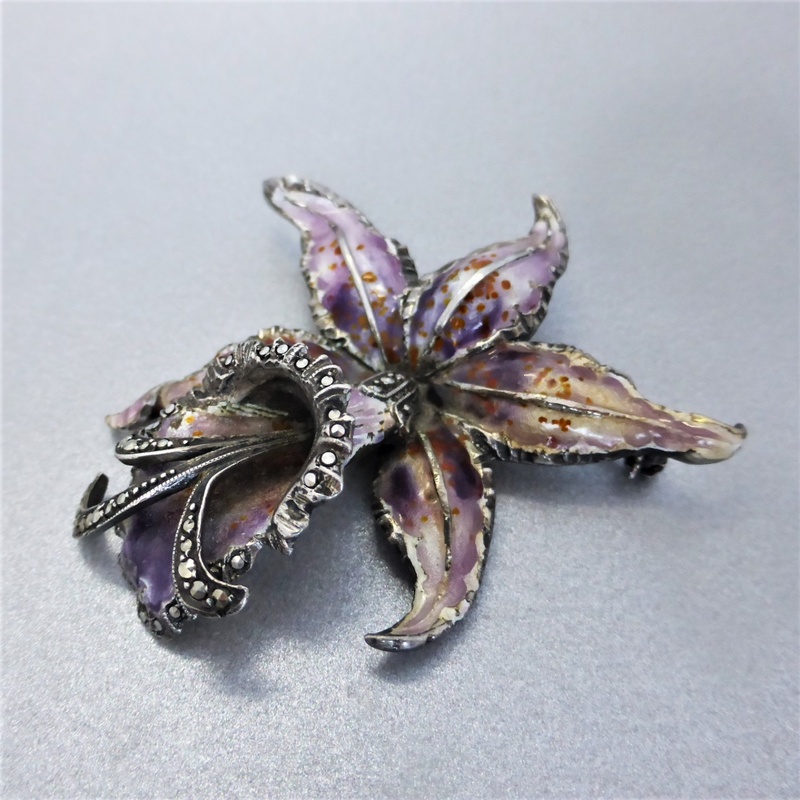 A wonderful enamel vintage brooch!